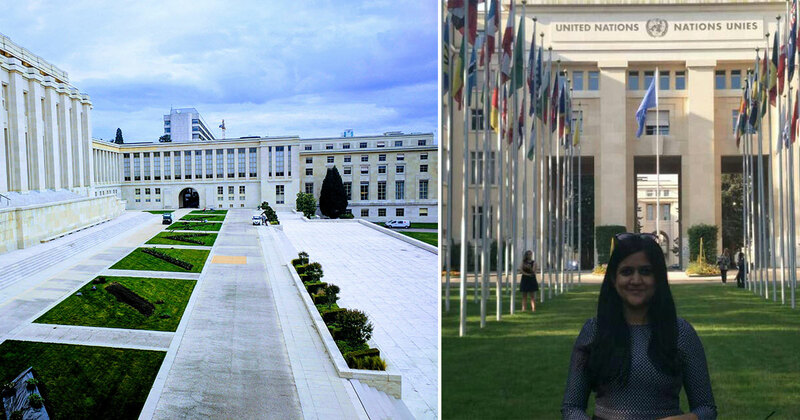 I started my internship at the United Nations Conference on Trade and Development (UNCTAD) in Geneva, Switzerland on May 16, 2018. UNCTAD is a United Nations agency, dedicated to supporting developing countries to access the benefits of a globalized economy more fairly and effectively. It has various divisions –on trade in goods, services and commodities, on trade and environment, on trade and gender, and on investment and enterprise. I am an intern with the Division on International Trade in Goods, Services and Commodities, working in the Trade Analysis Branch and have just completed three weeks at the organization. Before my internship started, my supervisor shared a couple of documents to prepare me. I had an exact idea about what project I would be working on before joining, something that helped me be sure in my decision to take up the internship. The project explores a very interesting and relevant element of international trade – Non-Tariff Measures (NTMs). Non-tariff measures, or NTMs, are policy measures that have an economic impact. They are applied to most of the products that we use in our daily lives and are intended to protect human, animal and plant health as well as the environment. These could be packaging requirements for food products or safety warnings on electrical equipment. This makes NTMs extremely important and difficult to do away with. Yet, NTMs prove increasingly more restrictive than tariffs, creating hurdles for trade and having implications for economic development. Hence, understanding the role of NTMs is essential to designing effective development strategies. UNCTAD has been pioneering work on NTMs along with other organizations such as the World Bank, the World Trade Organization(WTO) and the Organization for Economic Co-operation and Development (OECD). My project revolves around developing a methodology for measuring the impact of NTMs on trade that can be used in different countries, with the initial pilot in Ghana. I spent the first few days of my internship becoming more familiar with the concept of NTMs, their implications, and their classification and methods for data collection. I was given a lot of reading material and online trainings to complete. This really helped me get immersed in the theory and made me feel more confident in starting work on the project. The most incredible part of being involved in this project is that it is a pilot project and is currently in its initial stages. This gives me an opportunity to help lay its foundation. What became increasingly relevant as I worked on performing value chain analysis for Ghana’s key export commodities was how complex global value chains today are and their relevance in international trade. As I worked, I had fruitful discussions with my supervisor, which widened my understanding of various important concepts of international trade and how it impacts development. This enabled me to apply my classroom learning, which also focuses on international trade and development. In addition to this project, I was asked to assist the chief of my division in making a presentation on the current wave of trade protectionism and the future of globalization. This was an exciting opportunity as I was able share my views and thoughts – as I had learned in the classroom. This led to interesting discussions with the chief, which further widened my perspective. In addition, he recommended a couple of interesting articles and academic papers that solidified my understanding. The presentation was much appreciated by the chief who will soon be delivering it at the annual meeting of Global Trade Analysis Project (GTAP) in Colombia. I am really looking forward to receiving more feedback once he is back. All UNCTAD meetings and sessions are open to its interns. This gave me an opportunity to attend sessions of the 65th Trade and Development Board, an annual meeting of member states at UNCTAD. It was great to listen to the views of various member states on how to address multilateralism in international trade, as well as on the future of the digital economy. So far, the experience has been great. My favorite part is being able to transfer all the classroom learning into a practical experience. It is fascinating to understand how international trade and trade policies deeply impact each individual in the world and how thorny trade related issues can get. The path to economic development is full of difficulties and political bottlenecks, yet, UNCTAD’s vision on this front is truly inspiring.